1. Look over the selection of cats via website and binder. 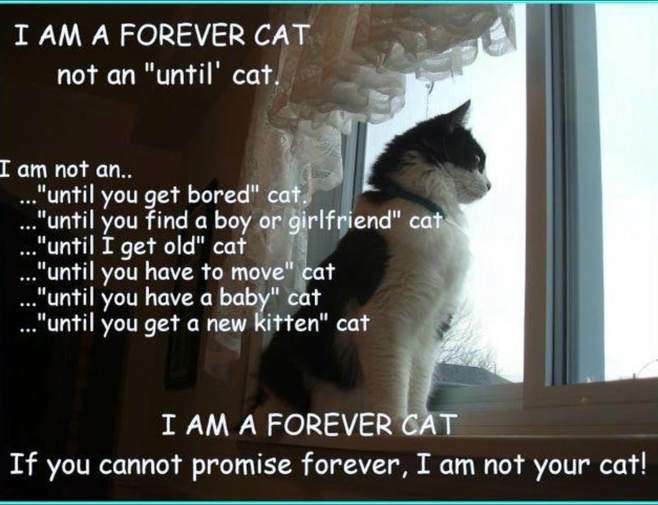 Foster parents or adoption volunteers can provide information about the cat’s personality, health, special needs, etc. 2. If you do not find what you want, please ask. Limited space prohibits us from showing all the cats we have available for adoption. 3. Complete an application. You can fill out our online application, download a PDF version, or pick up an application at any of our adoption events. 4. Review of application by Lifeline. A Lifeline volunteer will review your application and discuss it with you. 5. Approved Application. Once the application and review are complete and approved, Lifeline will set up a time to deliver the cat/dog to you. 6. Delivery Day. Plan ahead!! Be prepared to spend the entire day and evening home with your new cat/dog. This is their big day!! The Adoption Contract will be completed and signed at this time and the adoption fee will be collected. You may pay by cash or check (Payable to Lifeline for Pets). Special Offer: "TWOFER" - Adopt any two bonded cats or kittens and get both for the price of one! Included in adoption fee: Vaccinations, de-wormed, FELV/FIV tested, vet checked, spayed/neutered, microchipped. NOTE: Dog fees vary. Please call 626-358-3726 for information. emailed to kdhart57@yahoo.com or flirbird@sbcglobal.net.